Where are my team's invites? Sometimes we get questions from users about the status of an invitation to someone on their team. 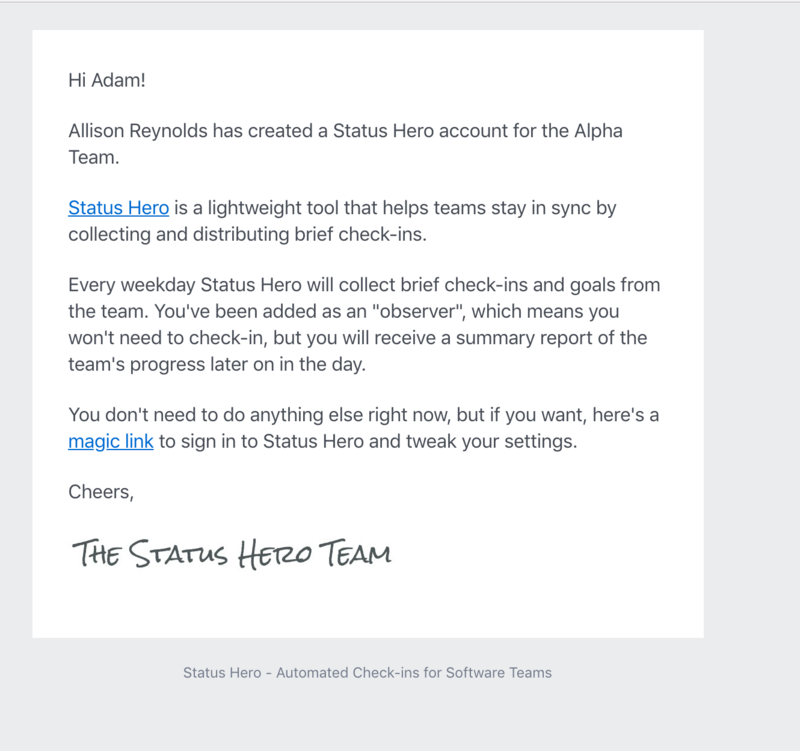 Since team members automatically start receiving check-in notifications once an Administrator or Team Manager enters them, there isn't technically an invitation. 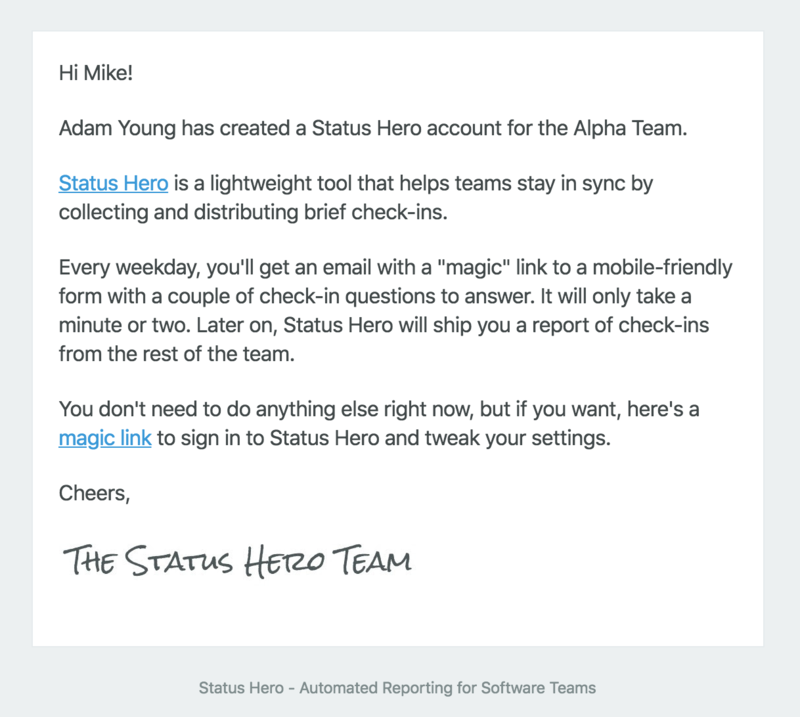 Instead of invitations, we send out welcome emails that notify team members they have been added to your team with a link to customize their settings. We aim to keep things simple for you and your team, so there's no need to track invites or nag your team. 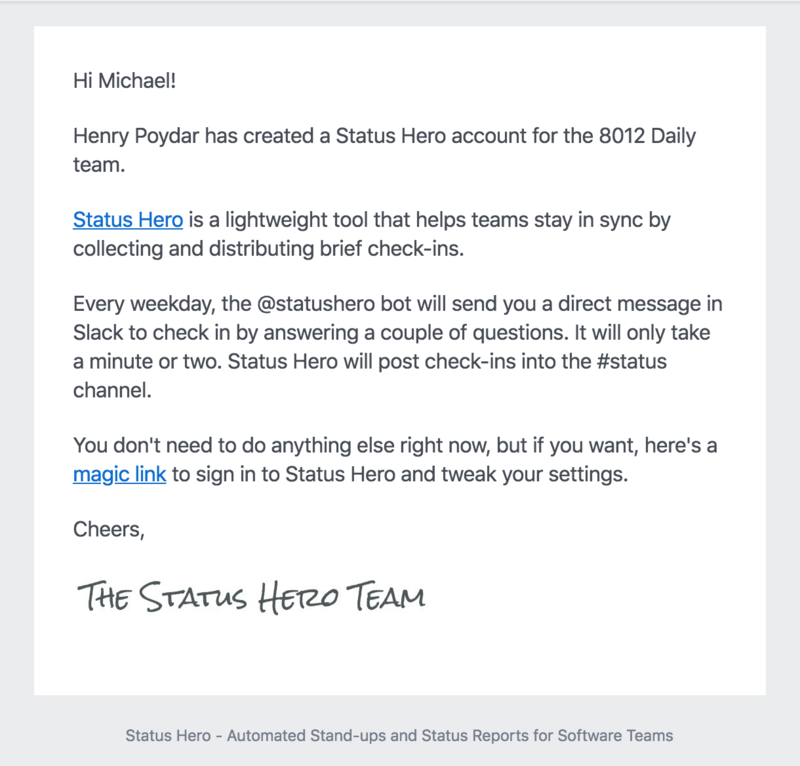 Slack users and observers receive welcome emails too.